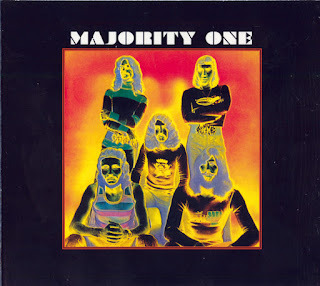 On some obscure releases of the early '70s, Majority One wrote and recorded material in the manner of some of the more foppish late-'60s British psychedelic pop, though the style had been out of fashion for a couple of years or so. The group evolved out of the U.K. band the Majority, who issued eight singles on Decca between 1965 and 1968 without reaching the British charts. After a lot of personnel turnover and a spell backing British singer Barry Ryan, the group moved to France and issued one final single as the Majority, "Charlotte Rose," though this was only released in some European territories. 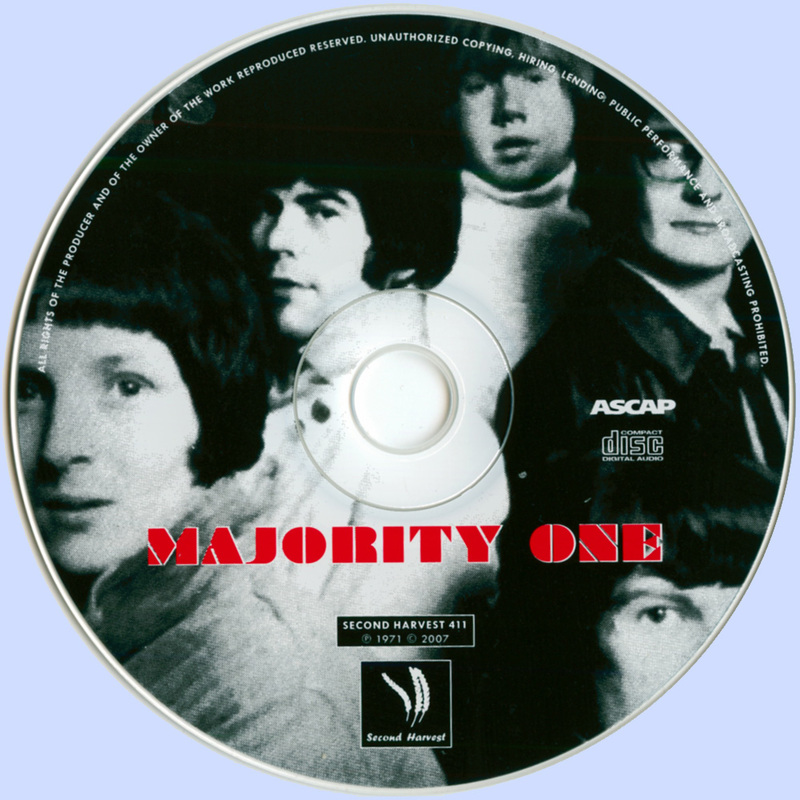 In 1970, still based in France, they changed their name to Majority One, issuing a few singles in 1970 and 1971 and a self-titled album in 1971, though the latter only came out in France and Holland at the time. With some similarities to the more lightweight efforts of the late-'60s Beatles, Bee Gees, and Moody Blues, Majority One's efforts passed unnoticed in their homeland, though their 1971 single "Because I Love" made the Top 20 in Holland, also becoming a hit in Italy and Brazil. Majority One also released some tracks under the names Black Label and Rocky Cabbage, but disbanded in the summer of 1971. 1971 saw Pink Elephant finance the band's debut album. 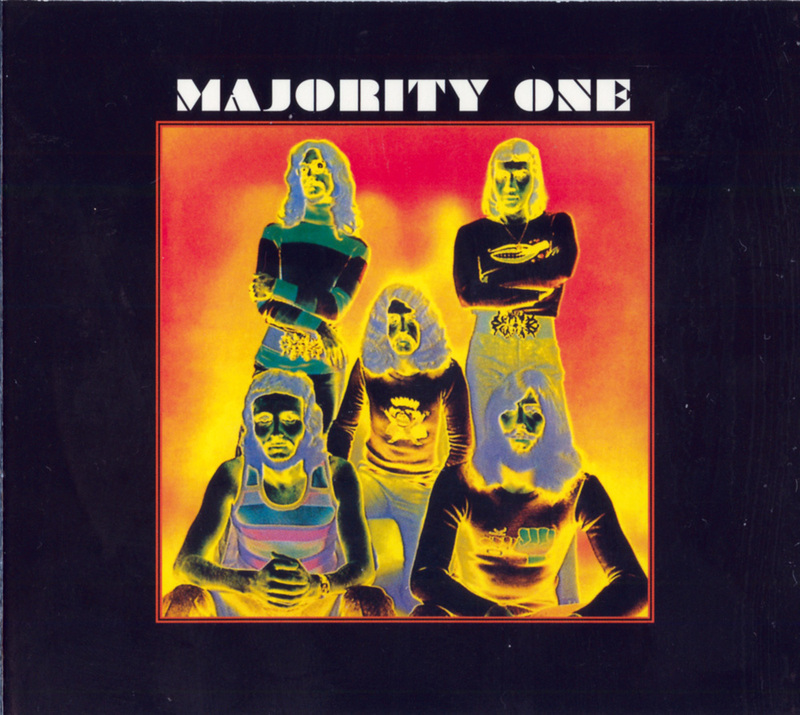 Produced by Jean-Pierre Rawson, the cleverly-titled "Majority One" pulled together the earlier singles and a slew of new studio material. Graham had a fantastic voice that sounded good across the diverse spectrum of sounds. While he didn't get a lot of spotlight time lead guitarist Mizen consistently added interesting color to the material and the Andrews/Long rhythm section kept everything nicely in focus. 'Feedback; actually opened up with a touch of Peter Mizen feedback guitar before morphing into a glistening slice of power pop. For anyone who pays attention to that kind of stuff, the lyrics praised the values of feedback guitar (maybe not a big surprise, lead guitarist Mizen and rhythm guitarist Rob Long co-wrote the song). Imagine The Hollies actually getting around to recording a truly rocking tune and you'd gave a feel for this one. Great way to start an album !!! A beautiful, slightly lysergic-tinged ballad, 'Rainbow Rocking Chair' was quite pretty with some engaging Pink Floyd-styled imagery. Opening up with some heavily treated Graham vocals, 'A Cigarette a Cup of Tea' started out with a very heavy psych edge, but then the track switched directions, showing the band's affection for British music hall moves. So now that we've started playing spot-the-influences, the gentle acoustic ballad 'Look Like Rain' sounded a bit like something Paul McCartney might had slapped on "The White Album", or perhaps recorded for his solo debut "McCartney". The song itself had a very simple structure - Pete Mizen basically chanting the title over and over while accompanied by strumming acoustic guitars and some low-keyed percussion. And it's also one of the tracks that burrows into your head and won't leave. Even though Graham's vocals sounded like they'd been recorded over a long distance phone line with a bad connection, 'Glass Image' sported one of the album's more commercial arrangements. Kicked along by some Mizen fuzz guitar and a stuttering string arrangement, the song had a cool, jittery urgency that makes it easy to see why it was tapped as the band's first single. 'Depths of My Mind; was kind of cool for trying to meld a pop melody with a hard rock chorus. Hearing Graham stretch out was also interesting in that he sounded a bit like an angry chipmunk on this one. The freak-out sax solo at the end of the song was also mildly entertaining. 'I Don' Mind the Rain' was another track that sounded like it had a 1967 timestamp. A pretty, acid tinged ballad complete with effects treated vocals, glistening backing vocals, and harpsichords, to my ears the song's always reminded me of "Revolver" era Beatles - ah the summer of love. Probably because it served to show what these guys could have done with a little more leeway and time, 'Roger La Frite' was a killer rocker. Built on an insidiously catchy hook and some tasty Mizen lead guitar, this one should have been tapped as a single. So what's the take away here? Well, I'd say it's a great album that falls short of being a classic album by sounding a couple of years behind prevailing early-'70s tastes and by the absence of a truly original sound. (In contrast, some of the material they released under the pseudonyms Black label and Rocky Cabbage had a far more '70 sound - check out 'I'm Leaving' or 'Freedom' .) Nevertheless, song for song it's way better than a slew of better know releases. Shame they didn't get a chance to record another set.